next generation clean energy center. It will generate 1,000 megawatts of energy, enough to power 635,000 homes and businesses through the use of clean natural gas and state-of-the-art technologies. It will be the most efficient energy center of its kind in Michigan, replacing older, dirtier and less efficient coal-fired plants. It represents a significant investment in the City of Niles. It will take an unproductive site and turn it into an economic engine that will create jobs, spur economic development and generate revenue for the City of Niles, its resident and the local area. Why is it necessary to build a new power plant? Indeck Niles is being developed to fill the need for generating resources created by the decommissioning of dirtier and less-efficient coal-fired plants in the region. New, state-of-the-art technology also helps to decrease the burden outdated coal plants put on the energy grid. Niles provides Indeck Energy with a central access point to existing natural gas transmission lines and a distribution network throughout the Midwest. The location of the project within the Niles Industrial Park also enables us to minimize traffic congestion and environmental hazards associated with building in a city center. 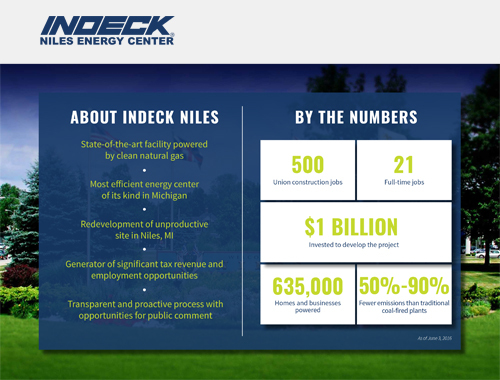 Most importantly, Indeck Energy is taking an unproductive site and turning it into an economic engine that will create jobs, spur economic development and generate revenues for the City of Niles, its residents and the local area. What does this mean for the City of Niles, its residents and the surrounding communities? State-of-the-art natural gas-powered facilities provide more reliable, affordable and cleaner solutions to support our energy needs than outdated coal plants. Facilities like the proposed Indeck Niles Energy Center produce 50%-90% fewer emissions than traditional coal-fired plants, helping us come closer to achieving pollution reduction goals set by the EPA. Indeck Energy takes its responsibility to uphold all federal, state and local regulations seriously, and intends to implement protocols to continually monitor and report on our efforts. Working with the appropriate agencies, including the Michigan Department of Environmental Quality, Indeck Energy will take every step to ensure that environmental impacts are moderated, all native wildlife and vegetation are protected and impacts to their habitats mitigated. Natural gas is not a clean energy source and is dangerous for the environment. The natural gas used to generate power at the proposed Indeck Niles Energy Center will be the same type of gas residents regularly use to heat their homes and cook their food. Facilities like Indeck Niles produce 50%-90% fewer emissions than traditional coal-fired plants and will help us come closer to achieving pollution reduction goals set by the EPA. Renewables such as solar and wind are far superior to natural gas. Michigan is among the lowest states for solar irradiance, and onshore wind sources are limited by geography and public acceptance. Wind and solar are also intermittent resources: they are not always available when power is needed. A combination of renewable and clean energy is necessary for the system to deliver reliable energy to consumers. Using natural gas for this facility means more fracking. The Indeck Niles Energy Center will tap into existing natural gas transmission lines. A spike in gas prices will mean that my energy costs will go up. With current market conditions, natural gas is the most cost efficient way to produce energy. Energy plants like Indeck Niles are heavily subsidized by local governments, putting an increased burden on local financial resources. Indeck Niles will not be subsidized by local governments. Nearly $1 billion is being invested to develop the project and the City of Niles and its residents will benefit from millions of dollars in new tax revenue that will be reinvested in schools and critical infrastructure projects. A power plant is an eyesore and will lead to a decrease in local property values. Indeck Niles will be a state-of-the art energy center. Its location within the Niles Industrial Park will minimize impacts associated with building in a residential area. Most importantly, Indeck is taking an unproductive site and turning it into an economic engine that will create jobs, spur economic development and generate revenues for the City of Niles, its residents and the local area. There are no jobs for local residents. Indeck Niles is projected to create 500 high-paying, skilled union construction jobs during construction and will employ 21 full-time, highly skilled and high-paying technical jobs upon completion. Local hiring will be emphasized. The plant requires a large quantity of water to operate and will strain local resources. The Indeck Niles Energy Center will use a combined-cycle technology and incorporate dry cooling, a process which doesn’t require a large water supply or a cooling tower. Peak water use will occur in the summer months, when water will be sprayed into the turbine inlets to increase output. Total plant consumption is projected at 0.6 MGPD (million gallons per day) during that time, substantially less than the amount used by a typical farm. The project will require new wells and will strain local water sources. No new wells will be necessary for the facility to operate. The water used by the Indeck Niles Energy Center will be supplied through the City of Niles municipal system. The City receives its municipal water supply from a variety of ground sources throughout its service area. What kind of plant is Indeck Energy proposing? The Indeck Niles Energy Center will be a next generation, state-of-the-art energy center fueled by clean, natural gas. The facility will use combined-cycle technology to generate electricity. In a combined-cycle process, energy is produced through a gas turbine and the excess heat is recovered and converted to steam to produce additional electricity. 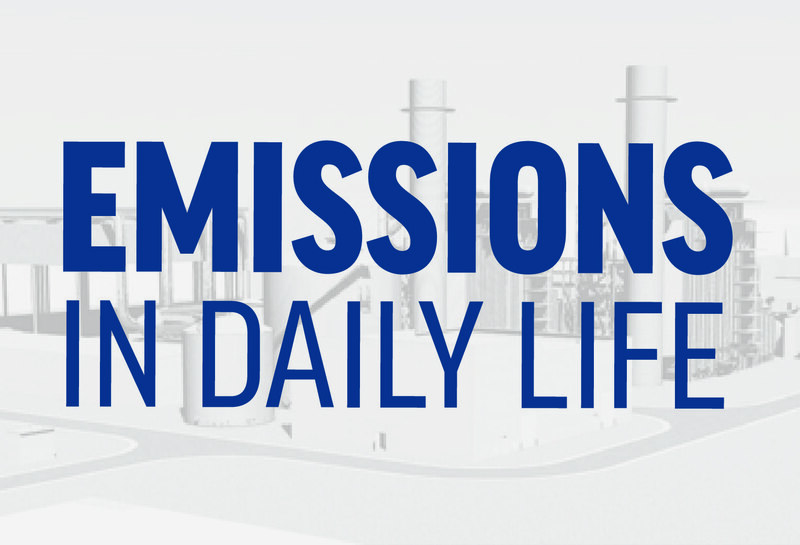 Combined-cycle plants are highly efficient and discharge significantly fewer emissions than coal-fired power plants. The Indeck Niles Energy Center is being developed to fill the need for generating resources created by the decommissioning of dirtier and less-efficient coal-fired plants in the region. New, state-of-the-art technology also helps to decrease the burden outdated coal plants put on the energy grid. The Indeck Niles Energy Center will be a 1,000 megawatt combined-cycle power plant. On average, that amount of generation is enough to power 635,000 homes and businesses. What are the economics of the project? Current market conditions are ideal for this type of investment. Nearly $1 billion is being invested to develop this project, which is expected to generate millions of dollars in tax revenue for the City of Niles, annually. Niles provides a central access point to existing natural gas transmission lines and a distribution network throughout the Midwest. The location of the proposed Indeck Niles Energy Center within the Niles Industrial Park enables us to minimize traffic congestion and environmental-impacts associated with building in a city center. Most importantly, a previously unproductive site is being turned into an economic engine that will create jobs, spur economic development and generate revenues for the City of Niles, its residents and the local area. Is there a chance that the facility will not be built? Market conditions are ideal for this type of investment and Indeck Energy believes that the timing is right to move this project forward. We are taking all of the necessary steps to ensure a smooth permitting process while identifying appropriate partners for financing. Will Indeck Energy participate into the Master Planning process currently underway in the City of Niles? The Indeck Niles Energy Center is included in the current Master Plan, however, Indeck Energy is committed to being long-term partner for the City of Niles. Wherever possible, we will collaborate with the City of Niles and residents on relevant Master Plan content. The Indeck Niles Energy Center is projected to create 500 high-paying, skilled union jobs during construction and will employ 21 full-time, highly skilled and high-paying technical jobs upon completion. Local hiring will be emphasized. Will Indeck be hiring locally for jobs? Indeck Energy is committed to hiring locally, whenever possible. 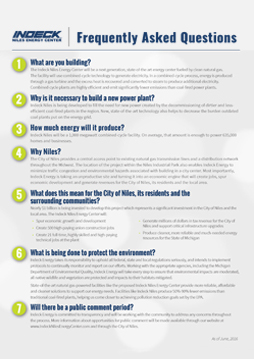 How will the surrounding counties benefit from Indeck Niles? We anticipate the project to employ approximately 500 high-paying union construction jobs. Upon its completion, Indeck Energy will employ 21 full-time high-paying and highly-skilled jobs. The project will generate millions of dollars in new tax revenue and spur economic development throughout the local area. How will Michigan residents benefit from this facility? With numerous coal plants being decommissioned throughout Michigan, a natural gas-powered energy plant will allow us to best meet local and regional energy demands. Natural gas is a cleaner and more efficient energy source than the outdated coal facilities currently in operation throughout the state. How long will construction take? When will the plant be online? Indeck Energy is working through the permitting process now. Based on timelines established by MDEQ, we anticipate permitting to take a minimum of 12 months. 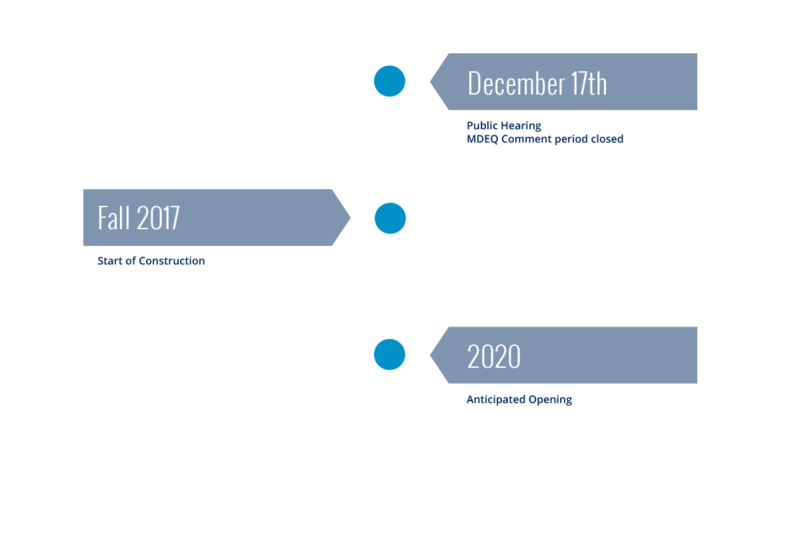 Construction is projected to take 2 ½ years with the facility opening in 2020. What is being done to address construction traffic and deterioration of local roads? Will there be trucks on the site 24/7? Indeck Energy will work with all local agencies to ensure there is minimal disruption on roadways during construction. Construction times are set by the zoning commission and will be integrated into construction plans. All contractors and subcontractors will be required to comply with requirements set forth by the zoning commission and any necessary infrastructure repairs will be facilitated. What type of equipment/training will be provided to protect the site and its workers? Maintaining the safety and security of the facility and its workers is of the utmost importance. Indeck Energy has implemented comprehensive safety protocols at our facilities across the U.S. and we will follow those same procedures on this project. Training materials, emergency action plans and other safety policies are continually updated to reflect current OSHA, NFPA and other industry standards. In implementing these safety procedures and protocols, we will work with local safety personnel and first responders, including the police and fire chiefs, to provide training on requisite safety measures. What is the estimated number of trucks expected per day during construction? The number of construction-related vehicles will vary based on each phase. What is the truck route your contractors will be using? Whenever possible, contractors will use main thoroughfares to minimize traffic flow disruptions. What are the hours of operation for the site during construction? All contractors and subcontractors will be required to comply with dates and times set forth by the zoning commission. How will the site be secured during construction and once it opens for operations? Robust security measures will be put in place to both secure the site and to prevent damage or accidents during construction. When operational, the facility will be fenced along its perimeter and monitored 24-hours a day, seven days a week. What is the plan for lighting on-site during construction? Once the plant is operational? Indeck Energy will work within regulatory guidelines including using downward facing lighting to mitigate light pollution throughout construction and during operation of the proposed Indeck Niles Energy Center. What will the plant’s hours of operation be? When in full service, the Indeck Niles Energy Center will operate 24-hours a day, seven days a week. Where will the energy produced at Indeck Niles be used? Indeck Energy is in communication with energy companies about distribution of energy produced at the facility. The facility is planned to provide energy resources to residents in Michigan and throughout the Midwest. Why natural-gas power instead of renewable energy sources? What steps are you taking to ensure environmental and wildlife protections? Indeck Energy takes its responsibility to uphold all federal, state and local regulations seriously, and intends to implement protocols to continually monitor and report on our efforts. Working with the appropriate agencies, including the Michigan Department of Environmental Quality, Indeck Energy will ensure that environmental impacts are moderated, wildlife and vegetation are protected and impacts to their habitats mitigated. State-of-the-art natural gas-powered facilities like the proposed Indeck Niles Energy Center provide more reliable, affordable and cleaner solutions to support our energy needs than outdated coal plants. The proposed facility is projected to produce 50%-90% fewer emissions than traditional coal-fired plants, helping the State of Michigan achieve pollution reduction goals set by the EPA. How will the Niles community benefit? The Indeck Niles Energy Center will generate more than $10 million in new annual tax revenue that will directly benefit the City of Niles and its residents, as well as the larger local area. The project will create hundreds of union construction jobs and 21 highly-skilled full-time positions, and local hiring will be emphasized. In addition to the jobs and tax revenue, Indeck Energy makes it a point to be a strong community partner wherever it builds and we intend to become an active member of the Niles community. What are you doing to mitigate additional noise caused by the facility? Indeck Niles will be a state-of-the-art facility. From an acoustical standpoint, locating it within the Niles Industrial Park appropriately distances it from the city center and noise mitigation will be employed to adequately protect surrounding land uses. Will you be closing off the public trails that go through the site? 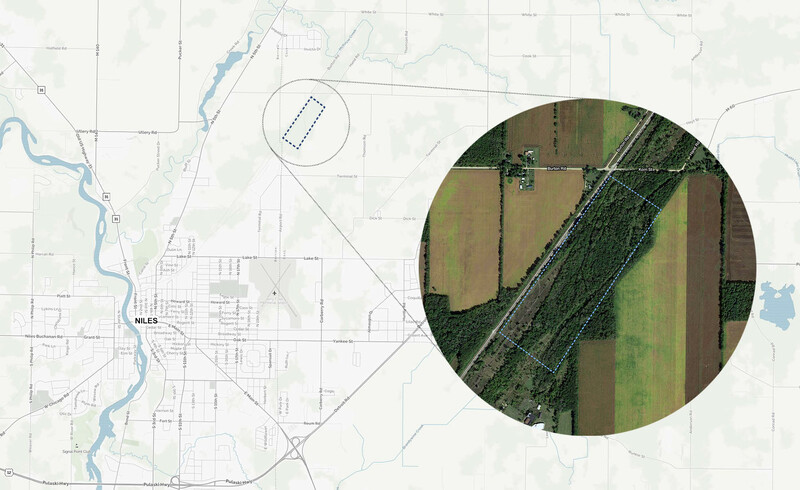 Will groups like the snowmobile club still be able to use the trails adjacent to the facility? Trail access points will remain available for the public to use both on our property and adjacent sites. Our safety plan includes signage and fencing around the facility designed to protect both our employees and the community that uses the Industrial Park land for recreation. Have you selected a contractor for the project? Construction bids are due in early December. Based on current timing, a contractor would be selected in February 2017. How much water will the plant use when in operation? Peak water use occurs during the summer when total plant consumption is 0.6 MGPD (million gallons per day). From October to May, the water usage averages 0.2 MGPD. Even at peak water usage, the amount used by the Indeck Niles Energy Center will be substantially less than typical local farming usage. Where will the water be sourced from? A development agreement between Indeck Energy and the City of Niles provides for the City to supply water from their existing sources. When and where will full-time positions at the plant be posted? Indeck plans to hire the plant manager in the second half of 2018. The remaining positions will begin to be filled in the first half of 2019. Interested applicants should refer to the Indeck Niles Energy Center website which will be updated in the coming months to include a tab for employment opportunities. Information will be made available with regard to open positions and qualification requirements. If you have a general inquiry or question about the Indeck Niles Energy Center that is not addressed elsewhere on the site, please fill out the form below. You will be contacted as soon as possible.